Psychological Abuse within an intimate, committed relationship was first made a crime in France in 2010, then the UK in 2015 and now Ireland May 2018, punishable by up to five years in prison under new legislation. This blog grew out my personal experience of emotional abuse. I set it up to educate the public regarding the nature of psychological abuse and provide information on personality traits of narcissists, psychopaths and sociopaths and the cost to individuals and society. Other than my story the posts share professional and expert knowledge to help victims of mental abuse, understand their trauma, rebuild self-belief and self-esteem. I know from my situation not many people around me knew or understood the impact or reality of emotional abuse. So a further perspective of the blog is to inform and help families and friends to understand the complexities of such a relationship, the trauma victims suffer from the abuse and provide an insight to better help and support the victim. Seven years ago I was unknowing at a crossroads in my life, I made a choice to take the route that was to shift my whole world into chaos. It was the start of a reckless, and destructive relationship with Paul Allen. Seven years of living with the scars of mental trauma, with Paul denying, trivialising and distortion our reality. What I didn’t know is that when Paul messed with my life, he was not messing with one part of my life, he was messing with my entire life, with every thread of my existence, causing my world to implode into disarray. As a result, the last seven years have been volatile, and directionless creating barriers to my ability to consistently engage productively, impacting on the book I am writing on emotional abuse as a Psychological Thriller. I had hoped it would be completed and published by now, but the stranglehold of the ongoing fallout from the relationship hindered my ability to function. Now with the wonderful Sue Leonard who edited my wildly erratic 860 pages down to just under 300 pages, creating a structure, so I am excited to shout out that finally it’s virtually completed. I believe it’s a remarkable story. Not because it happened to me, but because it’s an insidious form of abuse which many women experience, but don’t understand what’s happening to them. Inevitably they are made feel they are the crazy one, that in fact, that they are the abusive partner and isolated from reality. Indeed, in my case, Paul went out of his way to paint me as ‘the crazy’ one in the relationship. My fear that people would start to believe his narrative, I fought back by writing my story, not to hurt Paul but to protect myself. I started a blog. As the blog developed, the following grew, with extraordinary support and compassion. As a result, strength, and energy flowed back into my mind and body, I no longer felt isolated. I saw my experiences reflected in other women who emerged from the depths of such darkness. I wanted people to see the abuse, to believe it, to have faith in me. I needed them to understand the devastation, to cushion the fall without preconception. The book written as a Psychological Thriller is foremost about the darker side of human motivation, identity, honesty, determinism, fatalism, sanity, and duplicity. It’s the story of many thousands of people who have lost their clarity, their presence to Emotional Abuse. 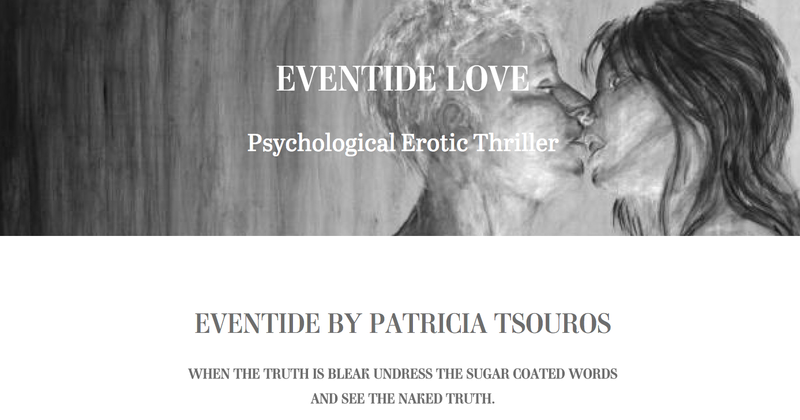 Follow the blog Eventide Love and keep up-dated on Book Publication news. You can read a synopsis of my story from this link ‘It’s a Rap‘. Post are accessed from the menu bar on the top right-hand corner of each page. **Please note I am not a psychological professional. The Post’s content is to inform, not replace, medical or psychiatric treatment. If you suffered or are suffering psychological abuse and not coping; suffering severe anxiety; not sleeping; fearful; unsettled; please seek professional care. If you don’t know where to go or what to do, google and contact your local Women’s Aid Agency. If you live in another locality please google Women’s Aid in your area. I write a poetry blog ‘Poetry on Life’s Journey.” I refer to it as my lifesaving writing. I am writing a book on emotional abuse as a psychological thriller based on my story which was extremely intense and destructive. If you would like to receive a book launch offer especially for you as a loyal follower and fan, please register below. Your details will not be shared. PROMISE.